I was recently asked what was the best way to view 4 images side-by-side in Bridge? This question made me think about the way that we view our images in Adobe Bridge and I think sometimes we don't use the full features that Bridge has to offer. 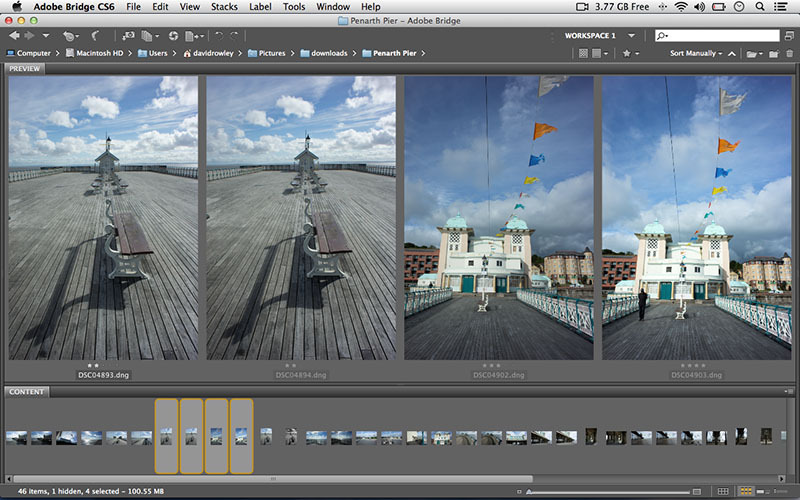 is there a difference in use between Adobe bridge and lightroom ? Or is it more the preference between Photoshop and Lightroom? Yes there are subtle differences between Lightroom and Bridge, Lightroom doesn’t have the review mode but it does have other many other useful features such a Survey mode. Instead of the Zoom tool in Bridge Lightroom has a great way to view the image using the Navigator and images can be Star rated in the same ways as you can in Bridge.